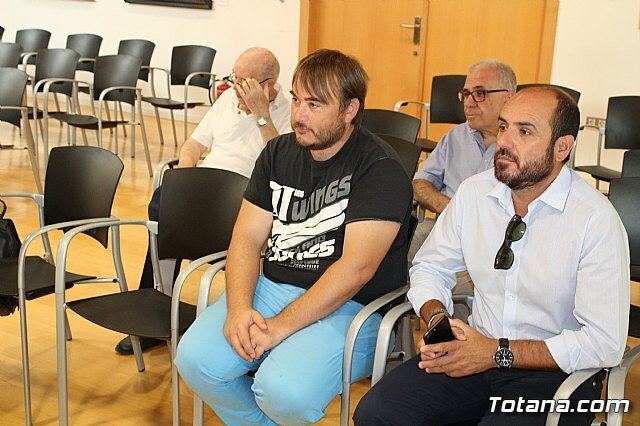 Municipal authorities have offered an institutional reception to Francisco Cayuela Cánovas, a native of Totana but resident in Madrid for years, for the altruistic personal donation made to enrich the photographic collections of the Municipal Archive of Totana. 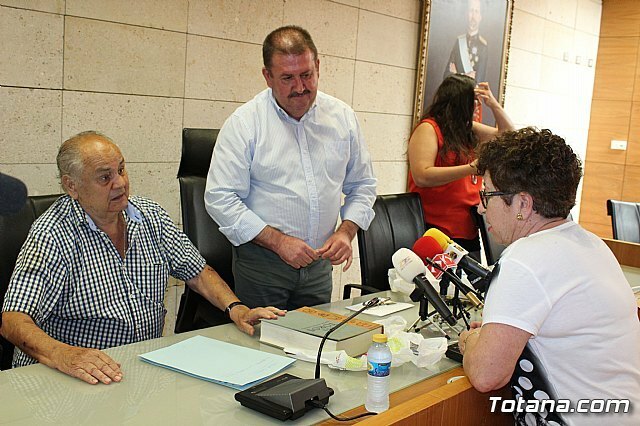 The mayor, Andrés García, accompanied by the councilor of the Municipal Archive, Inmaculada Blázquez, thanked the generosity and publicly acknowledged what this donation means, shedding a significant part of the family photo album. 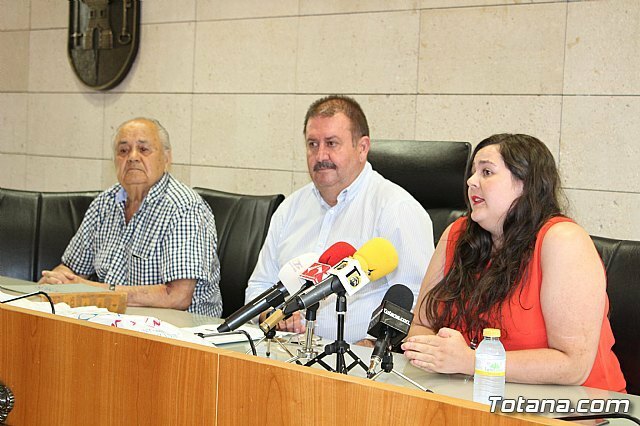 The municipal plenary session already accepted the donation institutionally last Thursday and now it has been wanted to stage this institutional gratitude on the part of the highest public officials. 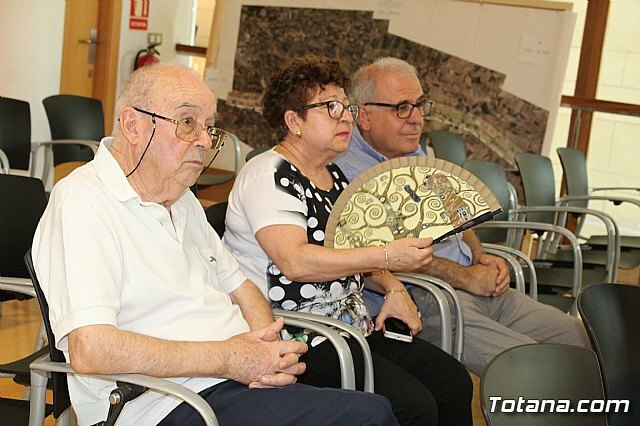 The event was also attended by the official chronicler of the city, Juan Cánovas Mulero, and the municipal archivist, Mari Carmen Crespo, as well as relatives of the protagonist. as well as two books. It is a lot of 119 photographs, mainly of family theme, in which not only the ancestors of the donor are collected, but through them we can delve a bit into the way of life and the customs of the Totana of principles of the twentieth century, a very important period for the history of our city, because in those years it was when we received the title of City and these photographs help us to put face and frame some of the characters who lived and participated in that distinction, according to the mayor. 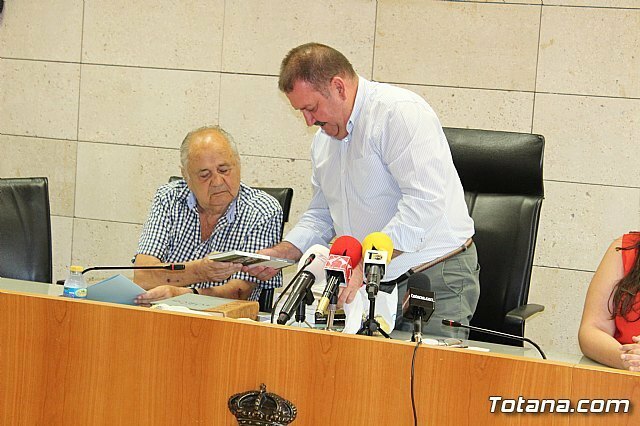 and the book "Spain Its monuments and arts, its nature and history, Murcia and Albacete" (Editorial Daniel Cortezo, Barcelona, â€‹â€‹1889), which consists of 791 pages, respectively. 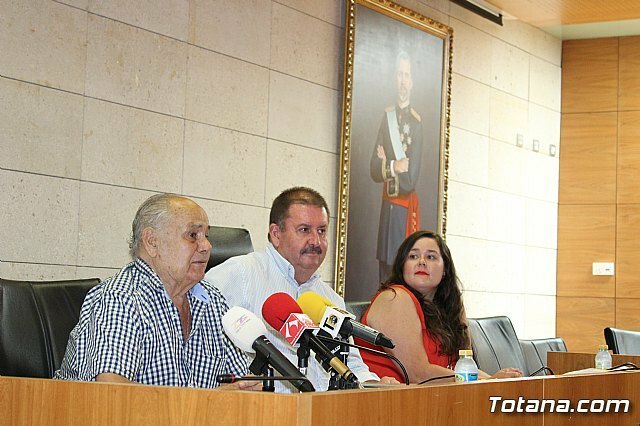 The City Council undertakes to digitize the photographic material for consultation and study by interested parties, keeping the documentary collection in the premises of the Municipal Archive. In addition, it will constitute, with the donation reference and in the indicated archive service, a fund entitled "Fondo Francisco Cayuela Cánovas ", in such a way that both the images provided and the two books mentioned will be for consultation and use by researchers who so request.